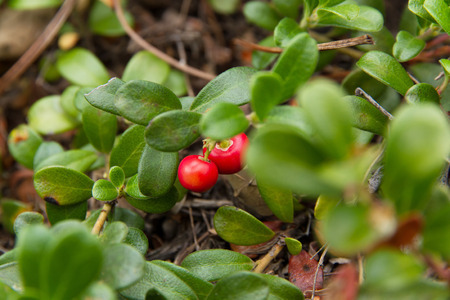 The name "bearberry" for the plant derives from the edible fruit which is a favorite food of bears. The fruit, also called bearberries, are edible and are sometimes gathered as food for humans. The leaves of the plant are used in herbal medicine. The plant contains diverse phytochemicals, including ursolic acid, tannic acid, gallic acid, some essential oils and resin, hydroquinones (mainly arbutin, up to 17%), tannins (up to 15%), phenolic glycosides and flavonoids. The leaves are picked any time during the summer and dried for use in teas, liquid extracts, medicinal tea bags and tablets for traditional medicine uses. The efficacy and safety of bearberry treatment in humans remain unproven, as no clinical trials exist to interpret effects on any disease. Bearberry was first documented in The Physicians of Myddfai, a 13th-century Welsh herbal. It was also described by Clusius in 1601, and recommended for medicinal use in 1763 by Gerhard and others. Often called uva-ursi, from the Latin uva, "grape, berry of the vine", ursi, "bear", i.e. "bear's grape". It first appeared in the London Pharmacopoeia in 1788. Folk tales suggest Marco Polo thought the Chinese were using it as a diuretic. Bearberry leaves are used in traditional medicine in parts of Europe, and are officially classified as a phytomedicine. Native Americans use bearberry leaves with tobacco and other herbs in religious ceremonies, both as a smudge (type of incense) or smoked in a sacred pipe carrying the smoker's prayers to the Great Spirit. When mixed with tobacco or other herbs, it is referred to as kinnikinnick, from an Algonquian (probably Delaware) word for "mixture". Among the ingredients in kinnikinnick were non-poisonous sumac leaves, and the inner bark of certain bushes such as red osier dogwood (silky cornell), chokecherry, and alder, to improve the taste of the bearberry leaf.